Robin Greenler is teh Assistant Director for the Center for the Integration of Research, Teaching, and Learning (CIRTL) leading the development of the CIRTL Network National Learning Community. She manages outreach efforts and develops cross-Network programming such as online graduate courses, scholar exchange programs, virtual presentations and discussion events for the 23 CIRTL institutions. 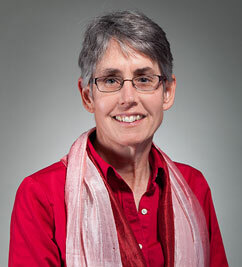 She works with CIRTL Assessment Team to assess program effectiveness and identify strategies to build and improve the CIRTL Network Learning Community and bring about local and national change regarding teaching and learning. She has taught an online version of The College Classroom, a course for STEM graduate students. Her areas of interest are application of research-based active learning pedagogies into online education, development of professional online learning communities, development of inclusive teaching practices, and K-12 STEM education reform. Prior to coming to WCER, Robin was an adjunct professor of biology at Beloit College and worked with the BioQUEST Curriculum Consortium.